When it comes to breakfast, I’m generally an egg person, with an emphasis on savory over sweet. To me, there’s nothing better than cutting into a perfectly cooked sunny side up egg, and letting the yolk serve as a delicious sauce for the rest of your breakfast plate. That said, it’s good to change it up every now and again, especially when you need a quick breakfast before flying out the door on your way to work. 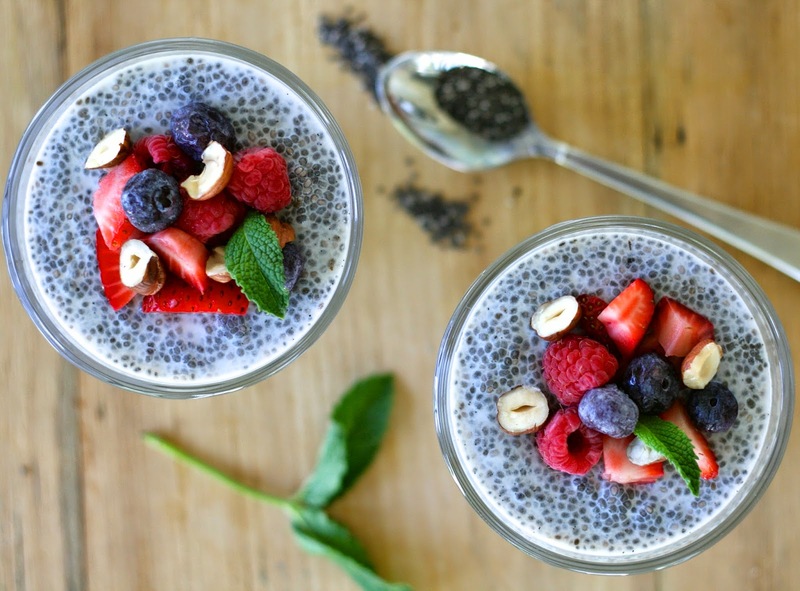 That’s why I’ve been enjoying this chia seed “pudding” recently. You can make it the night before, and you can even make a double or triple batch to have breakfast ready to go for the next couple days. Stir or whisk everything together for about 30-60 seconds and allow it to sit in the fridge for 20-30 minutes. 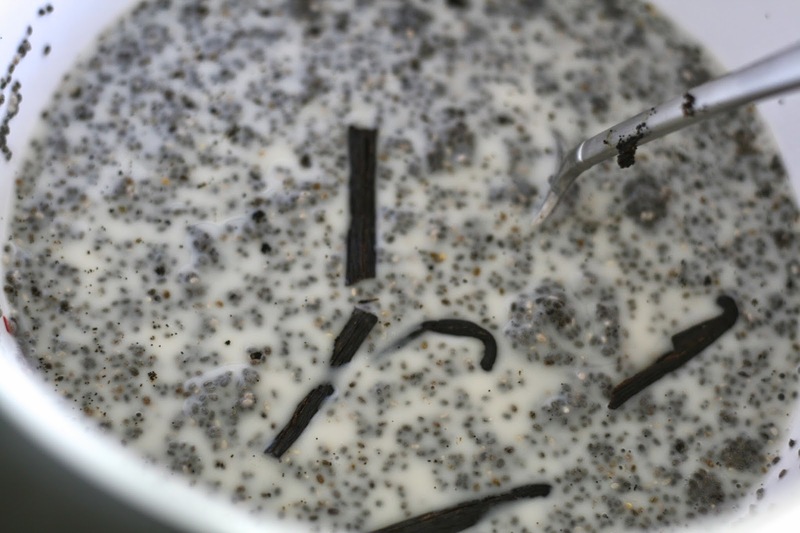 Give it a few more stirs, then remove vanilla bean pods and pour into individual serving bowls. Cover each bowl with plastic wrap and leave in the fridge overnight. When ready to eat, top with berries and/or nuts and enjoy! (If serving to guests, a sprig of mint is a nice garnish as well). The consistency is sort of similar to that of tapioca pudding, so if you’re not a fan of that texture, you may want to steer clear. Otherwise, enjoy this super easy, super healthy, superfood breakfast! 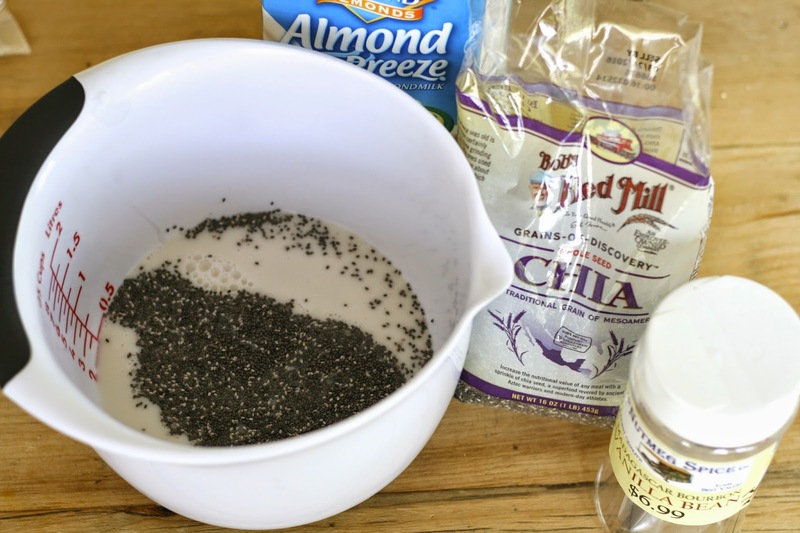 Combine almond milk and chia seeds. Split vanilla bean pod down the middle and scrape into bowl. Add pod to bowl as well. Stir or whisk vigorously for 30-60 seconds until everything is well combined. Place in fridge for 20-30 minutes, and stir again. Pour into individual serving bowl and refrigerate overnight. 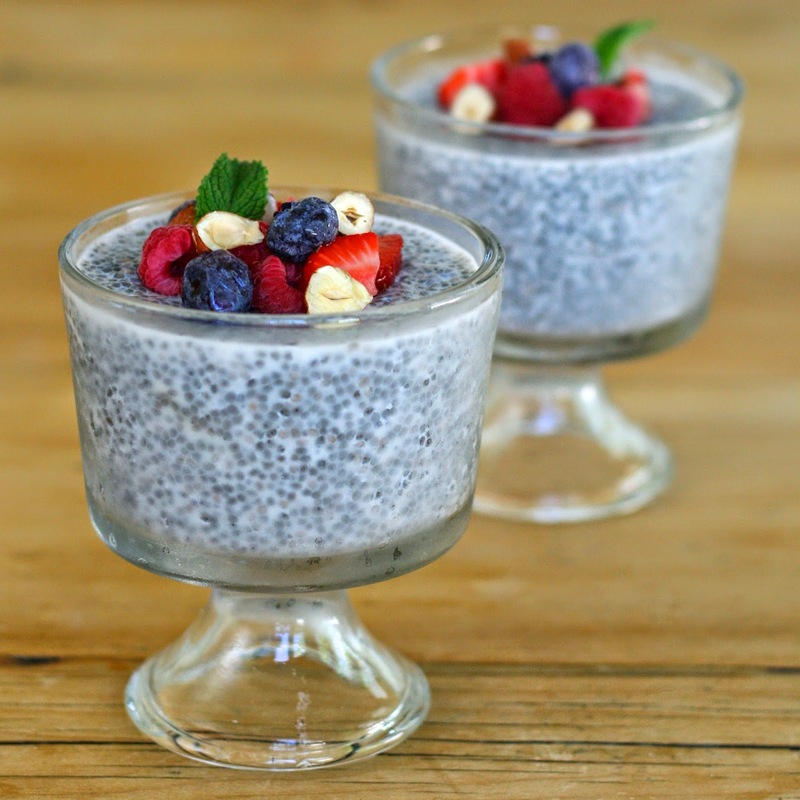 When ready to eat, top with berries and/or nuts and enjoy!